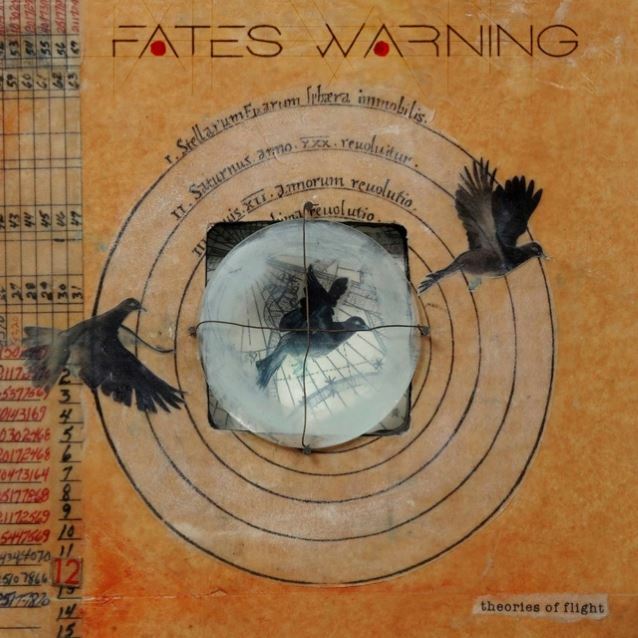 Fates Warning have been around a long time – it’s been thirty plus years since 1984’s ‘Night On Brocken’ seeing them progressing from NWOBHM Maiden-a-likes to a band who could conceivably viewed as ground breakers, a defining band, in the prog metal scene. Their new album is a classic example of the value of a few years of experience and improving with age. For many, 2013’s ‘Darkness In A Different Light’ marked what could be termed a welcome, some might say triumphant return – the disconcerting gap from 2004’s ‘FWX’ being enough to cause concern that perhaps that album would turn out to be their swan song. The reaction enough to maintain the roll that Fates Warning were, using the momentum to strike while the iron was hot and cultivate a new rich vein of inspiration. Inspired too to use the template to steady the ship whilst trying to push the dynamics – subdued and reflective moments which are more lush and heavier parts which push the boundaries of ferocity and aggression. Jim Matheos’ guitar gets an occasional breather while part time member Frank Aresti and touring guitarist Michael Abdow add their presence and variety. Check out Ray Alder’s lyrics also reflecting the band’s experience – taking themes of upcoming change and choices in taking different paths in life. The search for a solid footing and holding onto memories as we move into uncertain futures are all pertinent contemporary topics to explore. Musically, first teasers for ‘From The Rooftops’ might have that feel of being lulled into a sense of false security and sure enough, a couple of minutes in, the track explodes into life. A volley of shorter, more intense and passionate numbers lead neatly to a couple of healthily extended pieces – just enough, not too far – ten minute tracks in the excellent ‘Ghosts Of Home ‘ and ‘The Light And Shade Of Things’ , the latter perfectly summing up the album. Atmospheric guitar harmonics and moods combine to build an expectation for the inevitable shift in volume and power, swathed in melodic passages. ‘Ghosts’ is more traditional prog metal, plenty of interaction between guitar and keys – perhaps the most effective passages of the album. Restrained yet stirringly complex. The title tracks sees the album out in a slightly obscure fashion perhaps more suited to a mid album intermission in its unusual mix of effects and abrupt ending. Mastered and mixed by Jens Bogren – a name which is cropping up with more and more regularity in prog metal circles – giving ‘Theories Of Flight that trademark stamp of quality. It’s good solid hard rock/metal with progressive edges and it has to be said that the real strength of the material lies in the melodies and a maturity meaning there’s none of the overly technical thousand notes per minute showing off inaccessibility or attempts to blind you with sheer cold musical technique – ‘Theories Of Flight’ is a much friendlier and accessible version of prog metal.